Storm Eric is expected to give us some issues on the market of 9 February 2019 and some of our producers have decided to give this market a miss. However, there’s always a hardy bunch that will do the market through thick and thin, partly because their produce is perishable, and partly because they are loyal to their equally loyal customer base. 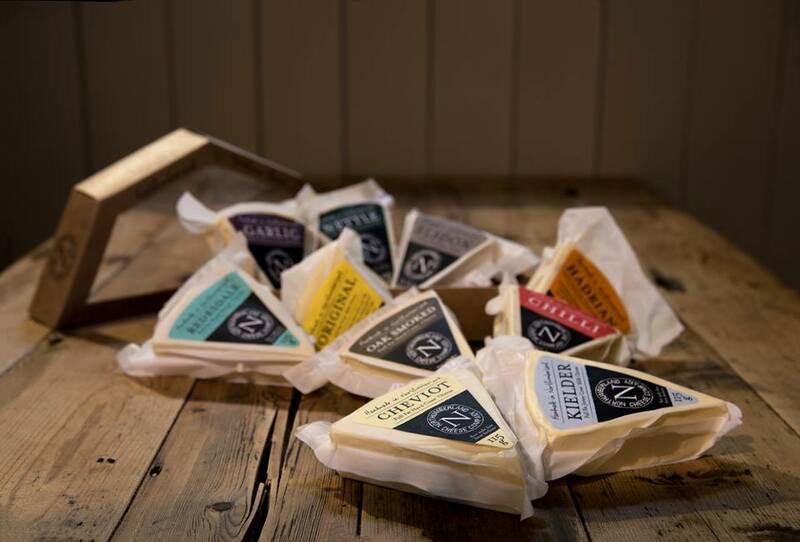 Stallholders to expect: Bread and Roses, Askerton Castle Estate, Bluebell Organics, Middlemay Lamb, Noisette Catering, Muckle Brewing, Slackhouse Farm, North Shore Catering, Northumberland Poultry, Northumberland Cheese Company and Northern Ark. We’ll be there between 9am and 1.30pm. As you may have heard by now, sadly Hexham Christmas Market has been cancelled because of a forecast of high winds on Friday, but the good news is that Hexham Farmers’ Market will continue as normal on Saturday. 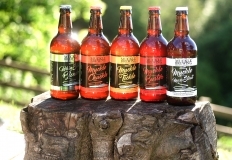 We have a full line-up of local food, drink and craft producers offering a full range of fantastic products. They will provide you with just about everything you could want on your Christmas dining table as well as a nice range of gifts. And remember that every pound spent on the farmers’ market or in local independent shops supports the economy in your local area helping it thrive. We expect to be able to give the farmers’ market a festive feel with decorations, mulled wine and hopefully carols and wintersongs by members of the Hexham Community Choir. We look forward to welcoming you from 9am on Saturday onwards! STOP PRESS: Sadly the Hexham Christmas Market has been cancelled because of a forecast of high winds on Friday making it unsafe for their stalls. However, the farmers’ market will go ahead as normal on Saturday, but with a festive feel! December is always a busy time for Hexham Farmers’ Market, and especially for our producers of course. Our big Christmas Market, in partnership with the Hexham Community Partnership is this coming Saturday, 8 December. Just about all our producers will be there offereing you the best local produce that North East England has to offer. In addition that are lots of other stalls, filling most of Beaumont Street. Hexham Abbey hosts its Fair on the same day with more great stalls. There will be music throughout the day and various entertainments making it a great day out for the whole family. The Hexham Christmas Market and Abbey Fair runs between 9am and 3pm. You can find a full programme here. Hexham Farmers’ Market will also be running on both 15 and 22 December allowing you to to get your Northumberland reared turkey or goose, a great cut of beef or pork and the all-important sprouts, parsnips and spuds. Both markets run between 9am and 1.30pm. 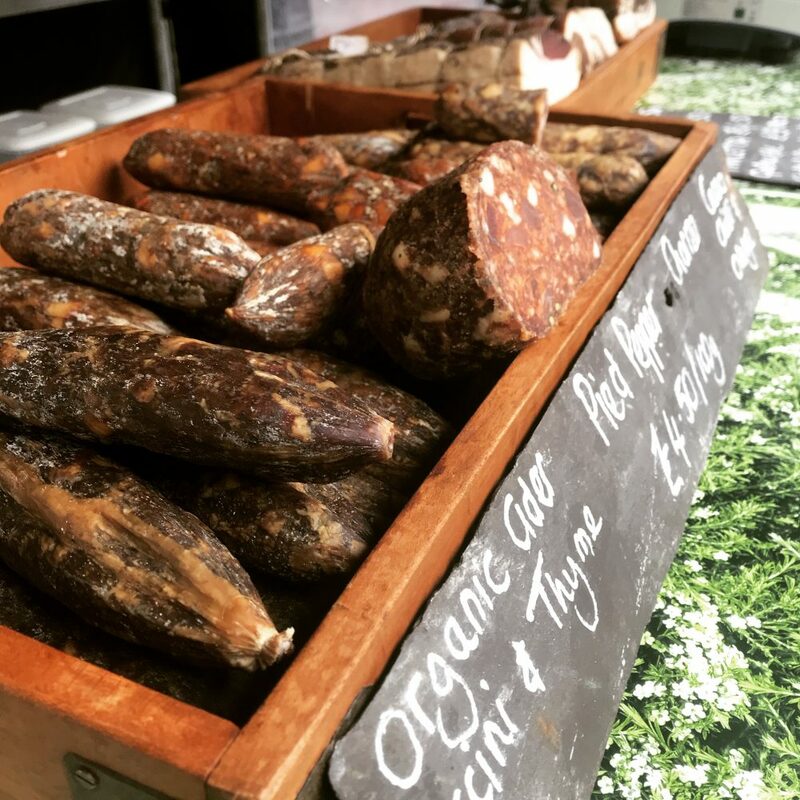 Regulars at Hexham Farmers’ Market will be aware that most of our producers have beeing doing the market for many years, some of them have been coming for more than 10 years! However, we do also take gust producers which allows people who haven’t brought their produce to Hexham before, find out what the market is like. Conversely it allows the market management to see if a new producer works in the mix and offers products that enhance our overall offer. All guest producers still have to be from within 50 miles of Hexham, produce and sell their own products, and use at least some ingredients that were themselves produced within the 50 miles of Hexham. This Satuday, 24 November, we have no fewer than three guest producers, one from Northumberland, one from Cumbriua and one from County Durham. Phil works with E3 Ecology in Wark in the North Tyne Valley, making innovative bird and bat boxes. The boxes are very long lasting and have a magic, locally produced component that make them weather and blend in with the environment really quickly. Lee runs Stonehouse Smokery near Carlisle. He rears outdoor pigs and turns the meat into charcuterie and does his onw smoking too. Having lost two charcutiers and a smokehouse over the last 18 months we’re particularly happy to have Lee try the market. The Durham Soap Company is based near Lanchester and came to us via Andrew of Bread and Roses. Their soaps are hand-made in small batches and use natural ingredients and pure essential oils. To sell soap and other cosmetics you need to get them tested extensively, a process they went through over the summer. The Durham Soap Company will try the market when our regulars, Malcolm and Maggie from TOCV Aromatherapy can’t be there. You may have spotted that Richard of Northumberland Poultry was missing from trhe market last Saturday, 10 November. The reason for this was the fact that our producers have lives beyond their businesses and their products. In Richard’s case he was very involved in a World War I commemoration weekend in his home village of Stannington near Morpeth. 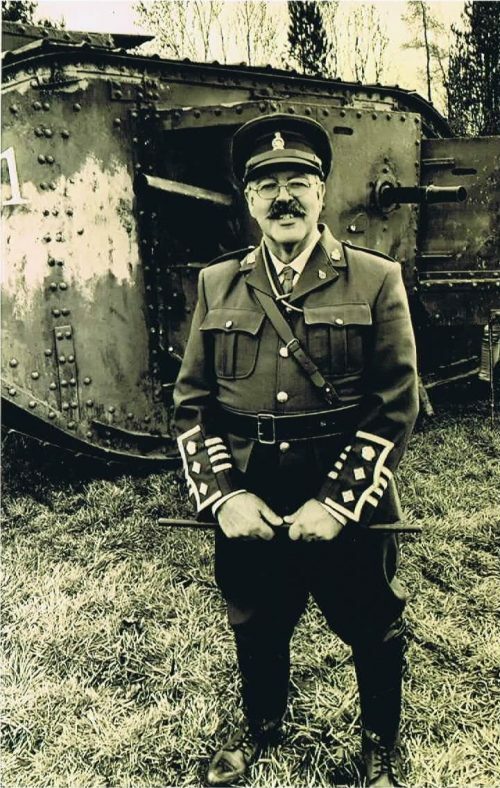 Richard has also written a number of books about the men from Stannington who were involved in that terrible war, now more than 100 years ago. If you’re interested in buying a copy of one or more of the books you can contact Richard by email. The books are priced at £20 each and all proceeds go to a community fund administered by Stannington Parish Council. We do hope Richard will be back at the market, minus moustache, on Saturday 24 November 2018. The Canny Cheesecake Company will be a guest at the farmers’ market on Saturday 10 November 2018. 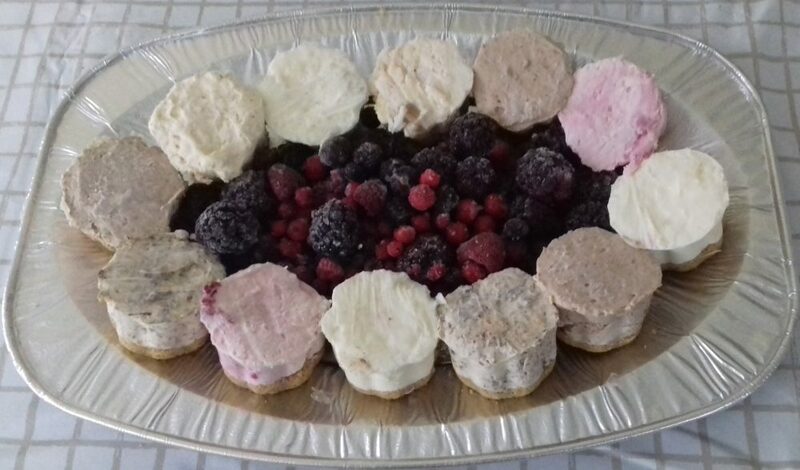 Based in Frosterley the company sells frozen cheesecakes in avariety of flavours. The company sources its cream and butter from a dairy near Barnard Castle and they use local honey in the biscuit bake. As a special offer at their first market in Hexham they will be giving a free mini cheesecake hamper to one lucky buyer. You’ll receive a raffle ticket with your purchase and need to like their Facebook page. One lucky customer will hear about their win on Saturday evening, via Facebook. Hexham Farmers’ Market this week runs between 9am and 1.30pm.